There have been many requests for a Feather feature (like this one, this one, and this one) so I decided to create it myself. 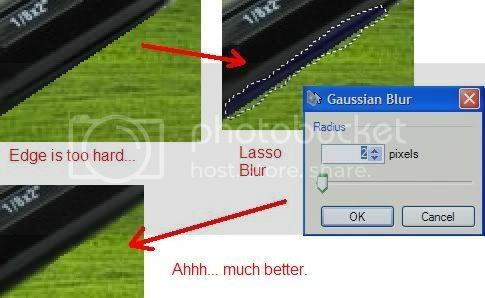 Thanks goes out to Rick for writing the Gaussian Blur function and to Illnab1024 for sending it to me in Codelab format. Basically, it softens the edges of objects that you are combining to make composit pictures. Please see this page for :arrow: instructions on how to use it. 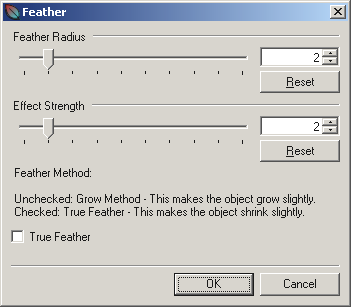 EDIT: I have recompiled this effect with the new CodeLab beta and added an icon to the effect and also added a UI that allows specifying the feather amount (from 1 to 5 with a default of 2). FIXED: Updated DLL to fix the UI bug where it gets confused if you move the sliders back and forth too much. FIXED: Fixed a typo. The last time I built this, I accidentally put "feather2" in the menu instead of "Feather". NEW: I have rewritten this effect from scratch. The effect now shows up in the Effects > Object submenu. It now includes a third slider to control the strength of the effect. NEW: I have rewritten this effect's UI from scratch. It now uses the IndirectUI of Paint.NET. FIXED: I have fixed the Paint.NET 3.36 bug. This sounds cool-- I look forward to trying it out! Heh, did you really copy and paste the Gaussian Blur code to do this? That's intense I recommend using composition instead ... basically you just instantiate a BlurEffect instance as part of your effect, and act as a proxy to its Render() method. This makes things much more manageable: the Gaussian Blur code is optimized for performance, and its readability and maintainability suffers as a result. Yes, Rick, Illnab1024 sent me the Gaussian Blur code (which he converted for use in Codelab). Then, I tried to understand it (big mistake--it would help if you'd used decent variable names). I figured it out well enough to modify it to my purpose. Then, I compiled the DLL using Codelab and posted it up. Would Faux Antialias work for you? But anyway, Feather is the best term here I think, because it is easy for the layman to recognize. Anyway, I did some experimenting with it and figured out that the blur that I was applying was too small. I had hard set the Gaussian Blur to a radius of 1. I have changed it to 2, recompiled the DLL and re-posted. Except for the smallest of pictures, it is a big improvement. BoltBait, you might be able to do that by doing Gaussian Blur like you are doing, and after that copying all the RGB values (not alpha) from src to dst in the render rectangle. This will effectively do the Gaussian Blur but mask it to just the alpha channel. Rick, the problem with this is that most of the pixels that are being blurred are completely transparent. But, I'll look again at this for the non-transparent pixels. I'm using the results of the Gaussian blur to slightly expand the size of the new object, not make it smaller. I played around with making the new object smaller (by only making the edges more transparent) and the results were not looking as good--remember my goal, combining natural objects with a natural background. Kaiser Yoshi, you are correct. This effect will not work for EVERY image you can come up with. However, for combining natural images, I think you will find it very useful. 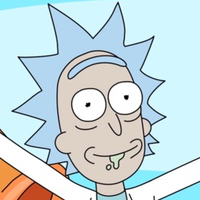 EDIT: OK, Rick, I did a test by keeping the RGB values of non-transparent pixels and I couldn't see the difference until I zoomed way in (400%+). And, when I did zoom in and could start to perceive a difference, it didn't look as natural as the regular blur. So, meh. I'm leaving it. Oh, I'm sure you could come up with a pattern that would show a major difference, but like I said, when used to combine one natural picture with another I think the effect is pretty good. OK, I found a bug in this filter. It wasn't properly blurring the bottom and right edge pixel of your selection if your selection was not covering the entire layer. So, if you have not downloaded the DLL since I posted this message, please do so--it has been corrected. Oh, and I had already made an icon, but I think I like yours better. Thats cool. Now I wanna see yours. Um, this is...AWESOME! I have looked everywhere and tried everything to do this but no good. This is great. Woo! Is it possible to make a similar effect, but instead of "Feathering" it with the transparent pixels, it would work with pixels of the primary color (tolerance changable). Sounds like you would want to make helo effects/glow effects. You could put a copy of your object on a new layer, saturate it with the color of your choice, Gaussian Blur that layer, then move that layer below your object. Of course, this is done in Codelab and therefore has no UI. So, I fixed the radius at 5. Once I get setup for making UI's, I'll fix that. this is the same as doing a blurred drop shadow at 0x 0y, except you can control the blur with the drop shadow. Yeah, use that one instead. Is it like Shadow X:0 Y:0 Rad:2/5 ? Yes I so often use shadow effect with x:0 y:0. It is as usefull as a shortcut. GREAT!!!! HAHA! Yes! I totally misunderstood! What this does is put a halo around objects by using the primary color for the halo. I'll see if I can satisfy your request tomorrow when I'm at work.